OUR MISSION is to love and care for those who seek refuge from a war torn country. OUR JOY is welcoming refugees from many nations to the United States who have experienced war in their home country. OUR PRIVILEGE is to help connect individuals, churches and civic organizations with community outreach to meet new refugees. OUR INSPIRATION is love. We were loved and we are called to love. 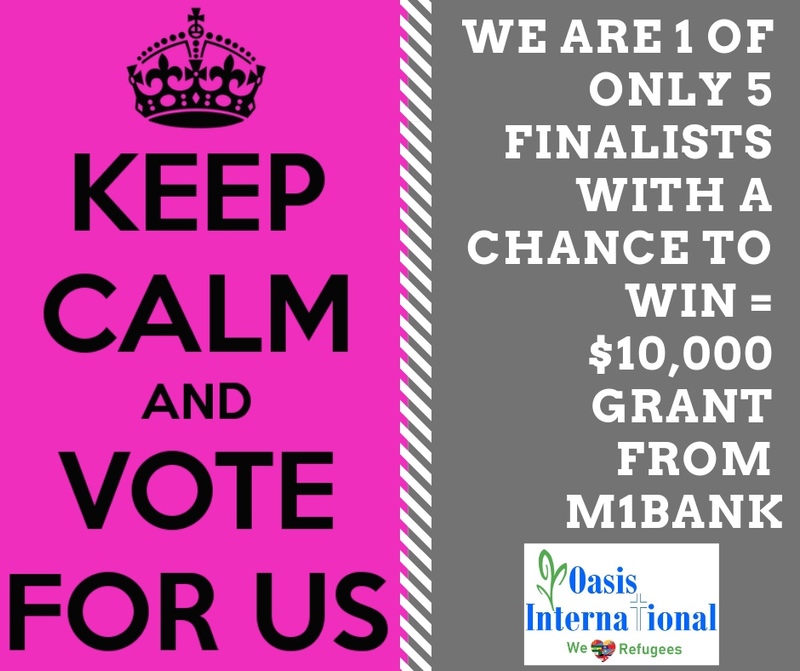 Oasis International is in the running with 4 other charities to win $10,000!!! Three easy steps to help us win! Click our Logo "Oasis International"
Once you're done, please share with your friends!!!! Help us love these refugees!!!! For more information, please visit The Refugee Processing Center. You can find information about refugees, where they are, how many came to the U.S. and you can search for any state. Also information on the refugees in refugee camps is available.